Article written and submitted by City of Sedona AZ. Sedona AZ (June 16, 2018) – The public is invited to a Sedona Planning and Zoning Commission public hearing on Tuesday, June 19, 2018, at 5:30 p.m. in the Sedona City Council Chambers for discussion and possible action regarding the update of the city’s Land Development Code (LDC). 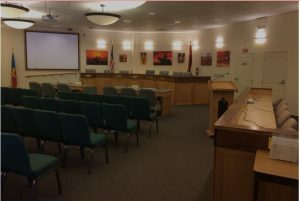 The council chambers are located in the City Hall complex at 102 Roadrunner Drive, west Sedona. The LDC establishes standards for all new development and redevelopment and is one of the city’s most important tools for protecting and enhancing the unique character of Sedona. In 2016, the city initiated a comprehensive rewrite of several major sections of the code to provide clear and specific direction for development and redevelopment. Updating the LDC is a major undertaking requiring the project to be phased into four parts: The first three parts involved proposed language regarding zoning districts and uses, development and design standards and administration and procedures. At the June 19 meeting, the Commission will review, take public testimony, discuss and possible take action on the fourth part of the LDC update – the actual unified draft document. The LDC helps carry out the community’s vision of Sedona as provided in the Community Plan; for example, what do we want the community to look like and be like? The LDC makes the vision real. Visit the city’s LDC webpage at www.SedonaLDCupdate.com to learn about the LDC and the update process. The draft LDC update and the accompanying draft zoning map is available for public review on the LDC webpage. For questions and comments, please visit the webpage or contact Senior Planner Mike Raber at 928-204-7106. 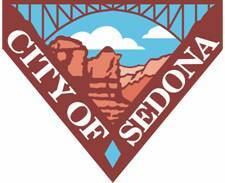 Sedona City Hall is open for business Monday through Thursday from 7 a.m. to 6 p.m. and closed on Fridays. The Wastewater system maintenance remains on a Monday through Friday, 8 a.m. to 5 p.m. schedule. Police and maintenance services are not impacted. Another nail or 2 in the coffin of Sedona, Schnebly?